This wider fit Ballet Shoe is designed for Children and Adults who normally require footwear in a slightly wider fit. Regular width ballet shoes are available as another listing. Premium quality PINK leather ballet shoes from Roch Valley, ideal for class and shows. 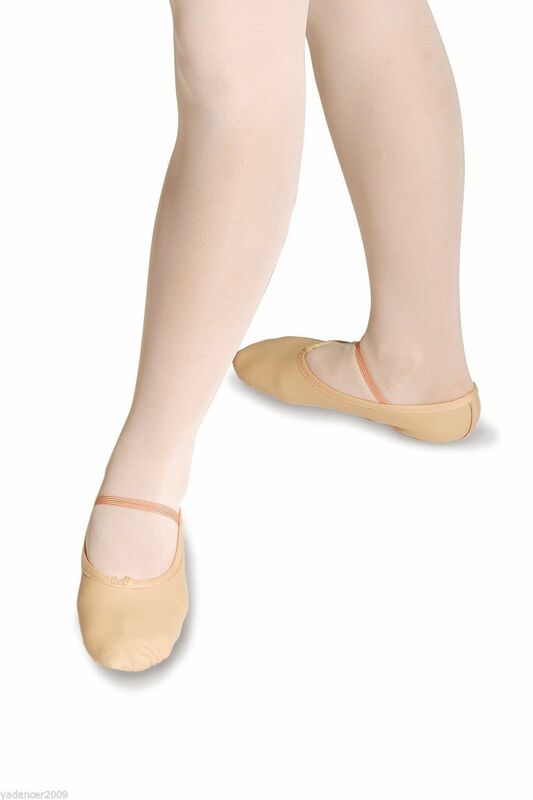 Versatile dance shoes suitable for all types of dance and performance. 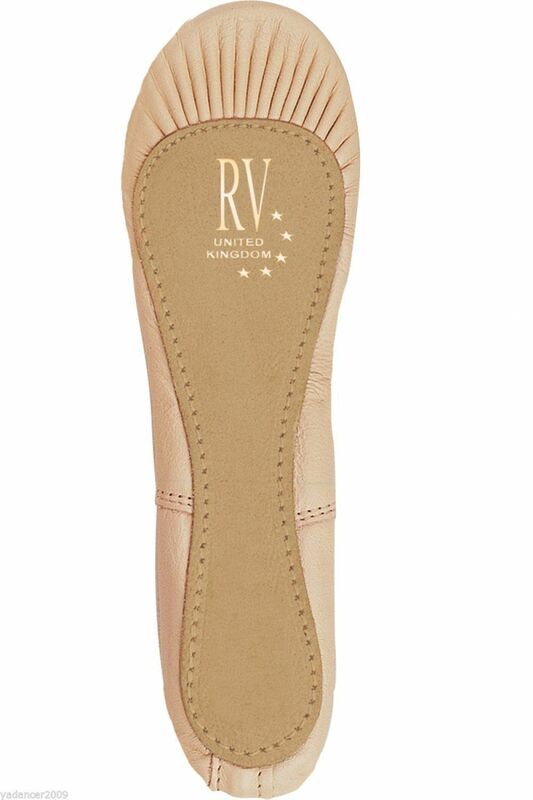 Roch Valleys classic leather ballet shoes feature superb quality leather uppers and biscuit coloured full suede soles. These ballet shoes come supplied with one set of elastics to allow you to get a great fit (comes with sewing instructions included for elastics). Please order your usual outdoor shoe size unless you have a particularly wide foot as you will then still need to go up a half or full size. Please remember to check you have ordered the correct size. The drop down menu of sizes does not always show in size order so please double check that you do not order the wrong size - smallest is child size 9 Eur 27 and goes up to adult size 8 Eur 42. This style comes true to shoe size however ballet shoes are designed to fit like a glove and should have no growing space. So if you are buying for a child and would prefer the ballet shoe to have some growing space or if you prefer a roomier fit for comfort then please consider going up a half or a full size. Please take a look at my feedback and be assured that you can buy with confidence from me. I will be happy to try and answer any questions you may have .